At Anderson Sobel Cosmetic Surgery, we are fully committed to patient safety, comfort, and success, and we work daily to ensure everyone who walks through our door feels welcome and supported. 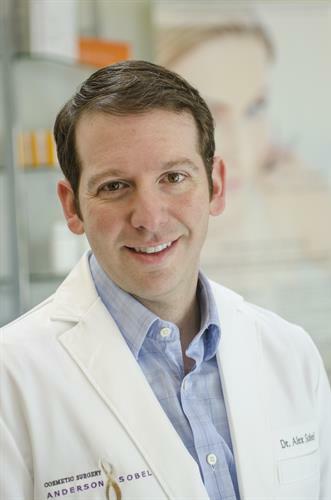 Award winning and triple board certified surgeon, Dr. Alex Sobel is experienced in all areas of cosmetic surgery including facial rejuvenation, breast enhancement, body contouring, and non-surgical anti-aging medicine. Dr. Sobel and his talented team are well-known for their kind, patient-centered care and dedication to providing an excellent patient experience, from consultation to recovery. When you choose to work with Anderson Sobel Cosmetic Surgery, you will have a highly trained and experienced cosmetic surgeon by your side throughout the entire process. Schedule your free consultation today. Once you’ve crossed over the 405 freeway, take a left at 116th Avenue NE. Our office is the 3rd building on the right.